People save their data on SD cards for protection. However, data stored on the SD card can also be subject to accidental corruption, formatting, deletion, virus infection, and more. In such scenario, what should you do to recover deleted files from SD Card? We have a simple solution for you – use Remo Recover software. Remo Recover software basically offers complete data recovery and file repair solutions to its users. For those who accidentally lose their valuable data on SD cards, hard drives, external drives, memory cards or any other storage device can always turn to Remo Recover to recover their lost files. 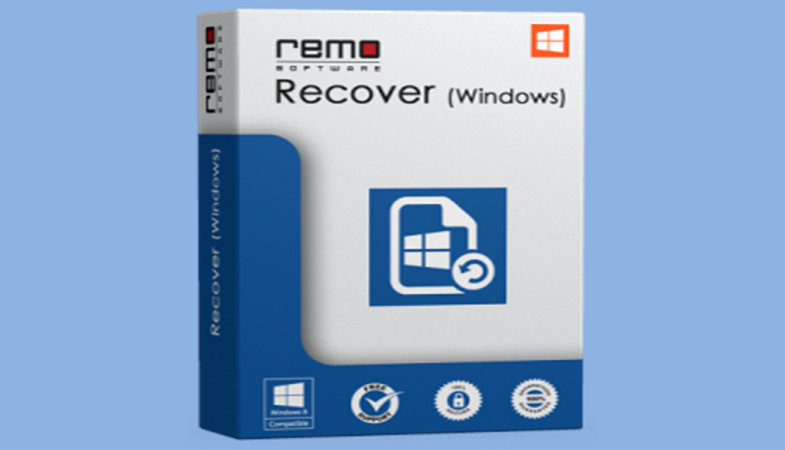 Remo Recover software is developed to cater to all your data recovery needs. All the accidentally erased or lost files can easily be recovered using this software. Apart from recovering deleted files from the SD card, Remo Recover also helps to recover your favorite media files. It’s dedicated media version is a proficient in recovering photos, RAW files, videos, audio files and other media files, that are accidentally erased or lost due to some circumstances. The major advantage of using Remo Recover software for data recovery is that it supports recovery from SD, micro SD, XD, CF, MMC cards, pen drives, external hard drives, USB drives, etc. All the data stored inside the SD cards, be it photos, videos, audio files, and any other type of files can be recovered with this data recovery tool. Moreover, it is also capable of restoring RAW images from your professional DSLR cameras. Remo Recover comes with a free demo version, allowing you to recover the deleted/lost files. Its free version also allows you to preview of the recovered files before saving them back to your device. One of the best things about Remo is that it offers the SD card recovery software for both Mac and Windows users separately. 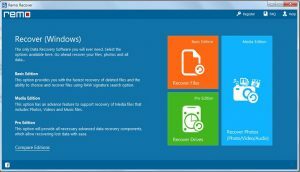 With the help of this SD card recovery tool, you can thoroughly scan your SD card and then recover the deleted or lost data on your Mac and Windows operating systems. All types of media files including photos, videos, music, documents, and other files can be recovered using the SD card recovery tool. As you already know what Remo SD card recovery tool can do for your data recovery needs, now it’s time for you to learn how to recover deleted files from SD card using this tool. The basic step to recover data from SD cards is to download the Remo Recover software on your computer (depending on your operating system) and then connect the SD card to your computer. After you’ve installed and downloaded the Remo Recover software on your computer, it’s time for you to launch it by selecting ‘Recover Photos’ option from the main screen. After you have made the right selection depending on your requirements, now you will be presented with a list of drives on the following screen. In case you are not sure which one is the SD card drive then we would suggest you choose a drive and then check its description given below. Once the description matches your SD card drive, select it and then click Next. As soon as you click ‘Next,’ you will be asked to carry out an additional scan, especially if you want specific file types. When you are not sure of the file types, you simply click ‘Skip.’ The Remo Recover software will perform a quick scan of the selected drive for lost or deleted files and then display all the data present on the drive. This will serve to be the final step. 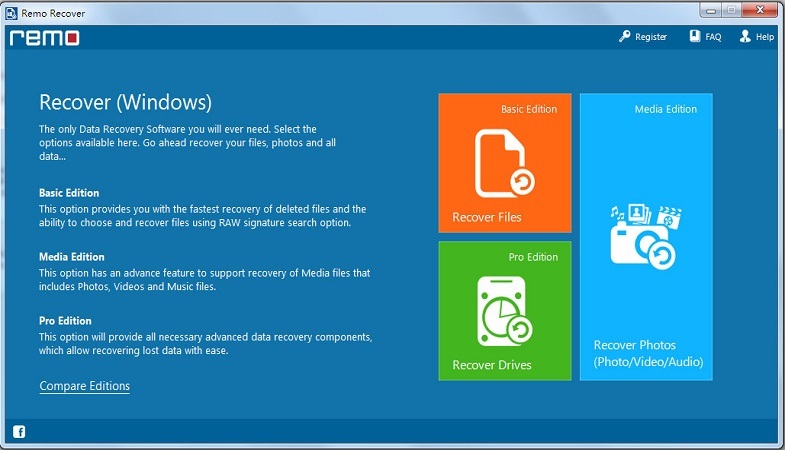 After previewing the files before recovery, you will be asked to select a folder to save your recovered files. Click on Browse to select the specified folder. Once you have selected the folder, click ‘Next’ to save the recovered files in that folder. After the files are saved in the folder, the Remo Recover software takes you to the location where the recovered files are actually saved. This is where you can view the recovered files. It is noteworthy to add here that Remo Recover software only reads from your original files and hence does not, in any way, alter them. Therefore, you do not have to worry about the software causing any sort of harm or bringing any alternations to your valuable data. Data recovery is just not limited to SD cards with this software. It can also be used for recovery from CF, XD, and micro SD cards. The majority of the leading brands of SD card manufacturers are supported with this software such as SanDisk, Sony, Lexar, Samsung, etc., to name a few. Remo Recover software has been used by millions of users on the internet and most of them have been satisfied with its data recovery services. Both Windows and Mac users can benefit from its services.